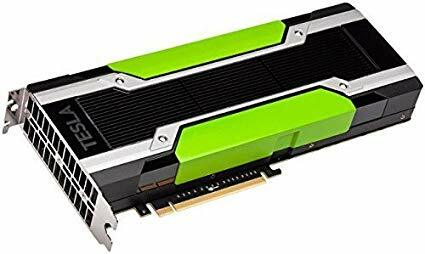 🙋‍♂️ Need help in buying Nvidia Tesla K80 24GB GDDR5 Graphic Card? Please contact us now. Boost your server performance with Tesla K80 24gb GDDR5 Graphics Card built on two Kepler GPUs, the NVIDIA Tesla K80 GPU Accelerator is intended for use in servers and supercomputers. The K80 is a dual GPU unit which utilizes two GK210B chipsets. As a unit this card offers a total of 4992 CUDA cores clocked at 560 MHz coupled to 24GB of GDDR5 vRAM with a 384-bit memory interface and a 480 GB/s bandwidth. This card features no outputs for displays, it is designed to serve as a hardware accelerator using the CUDA cores in the GPU. Its CUDA cores are arranged using NVIDIA’s Kepler architecture.